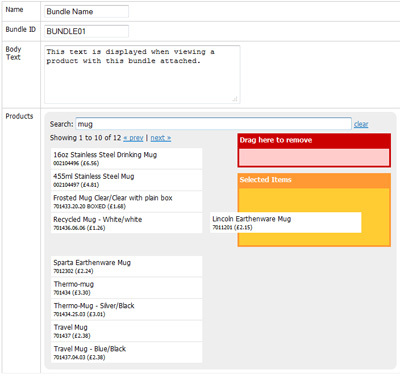 A bundle is consdered a 'group' of products that can be associated to another product. E.g. 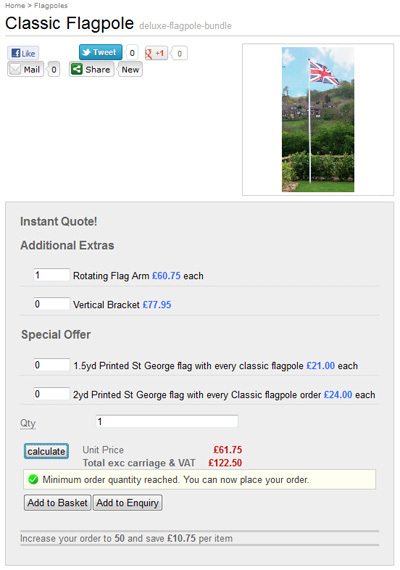 If you buy a flag you may also need to buy a flag pole, bracket and more flags. Enter the bundle information. Locate the product(s) to include in the bundle and then drag and drop the product(s) from the left hand side to the ORANGE area. Add as many products as you like to the bundle. Save the bundle. Locate the 'Bundles' section and then drag and drop the bundle(s) from the left hand side to the ORANGE area. Save the product.